FAQs — JOIN THE SUGAR REVOLUTION! We request seven (7!) days of hair growth. That's it. Yes, you read it right. We don't need two long weeks before you get sugared! And you can expect longer-lasting results too! What if I'm prone to ingrown hairs or breakouts? Any time hair is removed, ingrown hair can become an issue. Removing the hair with the natural direction of growth however (one of the many benefits of sugaring) often reduces and eliminates this problem. We'll also spend time covering steps to healthy skin. This is a big deal and part of the reason you'll find that once you go sugar, you'll never go wax! Do not use any lotions, serums or creams for 48 hours prior to your sugaring session. Exfoliation is beneficial BUT using ONLY exfoliation gloves. Please refrain from exfoliation products. They often contain ingredients that prevent a successful sugaring session. Let us know if you have questions. No tanning - indoor, outdoor or spray tanning - for 48 hours prior to your sugaring session. We require a minimum of 7 days of hair growth or you will be rescheduled. For hair that is longer than 7 days, trimming the hair with a #2 guard on a beard trimmer is recommended but not necessary. We insist on NO tanning prior to your service, whether indoor, outdoor or spray tanning. For after your sugaring service, the ONLY acceptable form of tanning in the first 48 hours will be spray tanning - and that comes with conditions. 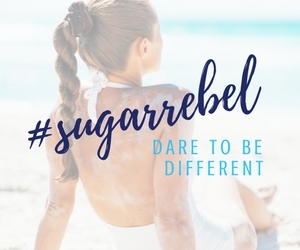 Spray tanning can create clogged pores in areas we've just sugared, so your options are to 1) connect with your studio so we can make an informed decision together on your tanning schedule or 2) wait 48 hours before you do any type of tanning. Can I tan before or after I get sugared? I work out, do I need to worry about when I schedule my sugaring based on my workout schedule? We prefer our guests refrain from anything that causes sweating as it can cause irritation and clogged pores, which isn't the result we are looking for. We recommend a 24 hour period prior to doing any activity that might make you sweat. Sunburned, irritated or areas with open skin cannot be sugared. You cannot be sugared (in the area the treatment was performed) within 7 days if you've received the following: chemical peels, microderm abrasion, or similar procedures up to and including injectibles. Certain medications require caution when it comes to sugaring and a consultation is recommended. Please review the list below prior to scheduling your session and consult with your dermatologist if needed. We may request a doctor's note in some cases. Medications that thin the skin, blood thinners or medications that cause sun sensitivity also require caution. Accutane (Acne medication) – You must be off of this medication for a minimum of one (1) year prior to service.